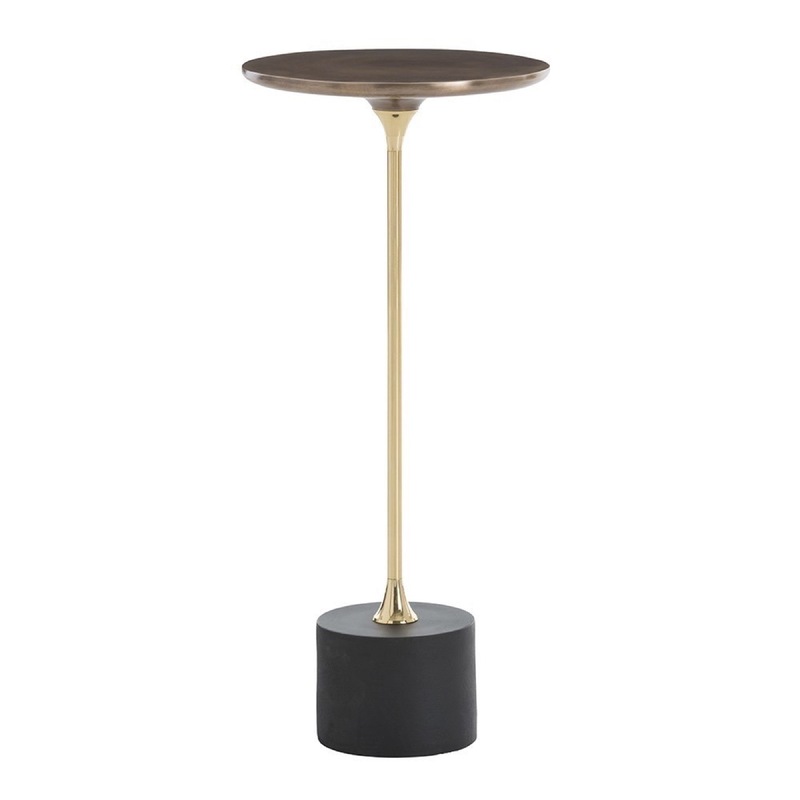 A modern take on the traditional cocktail table. 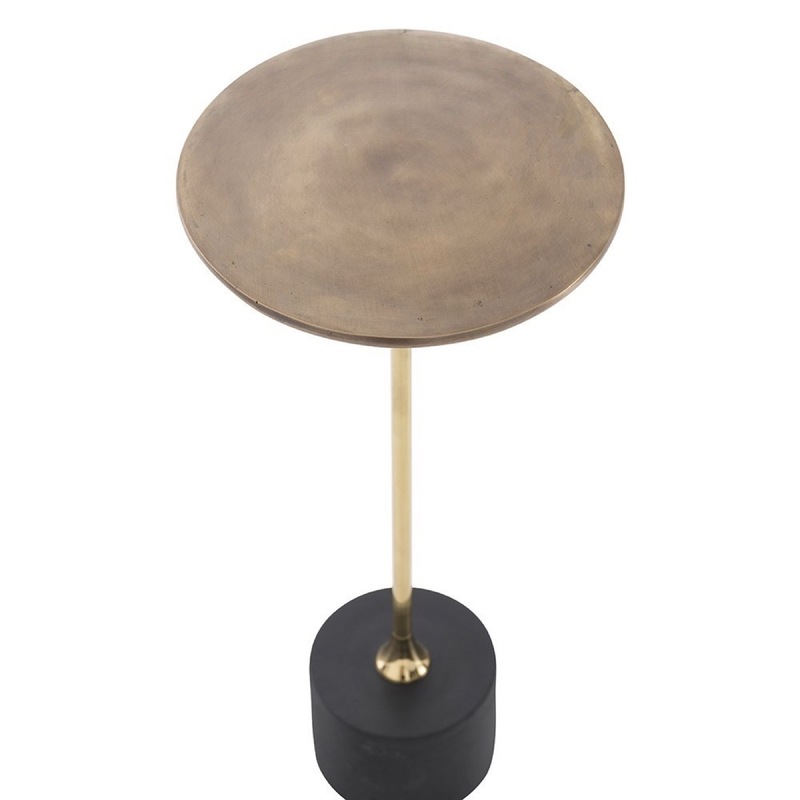 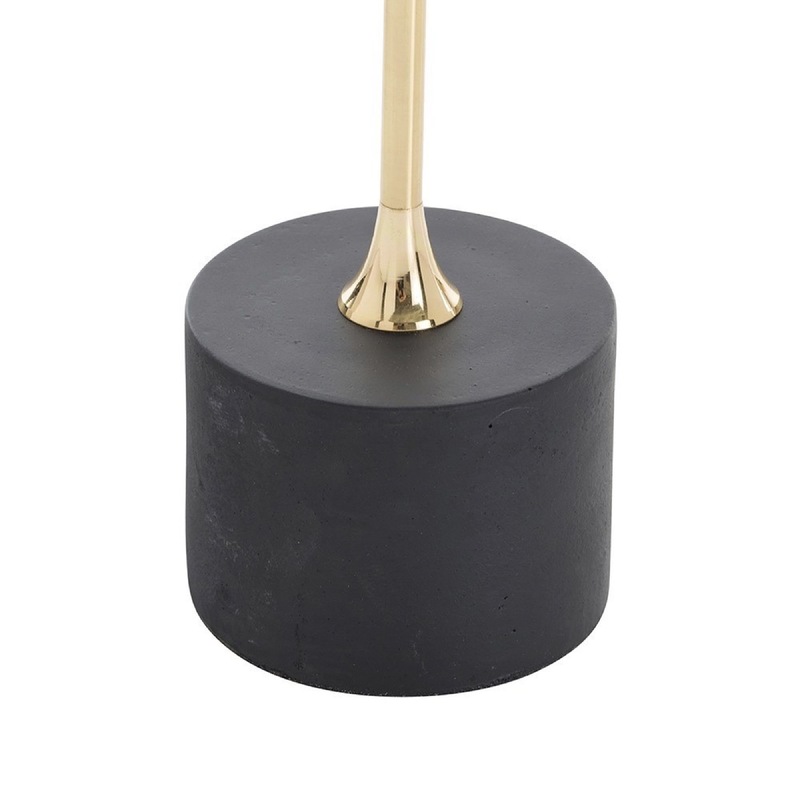 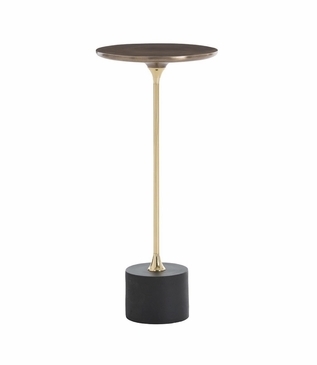 Graceful curves accompany a powder-coated antique brass top, shiny brass pedestal, and a black iron base. 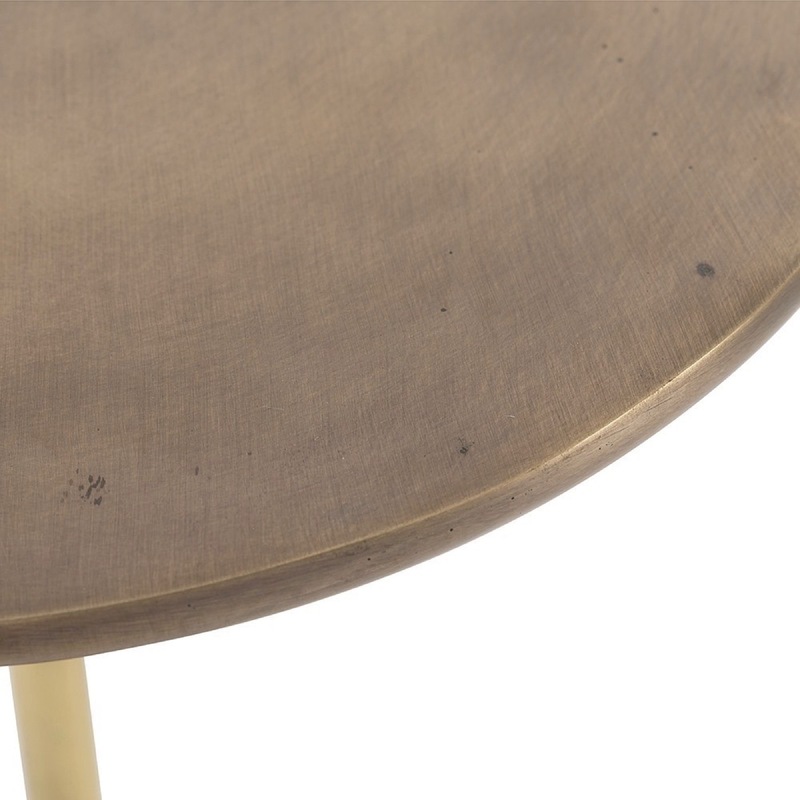 All of the finish elements fuse to bring tonal style to the midcentury design staple.